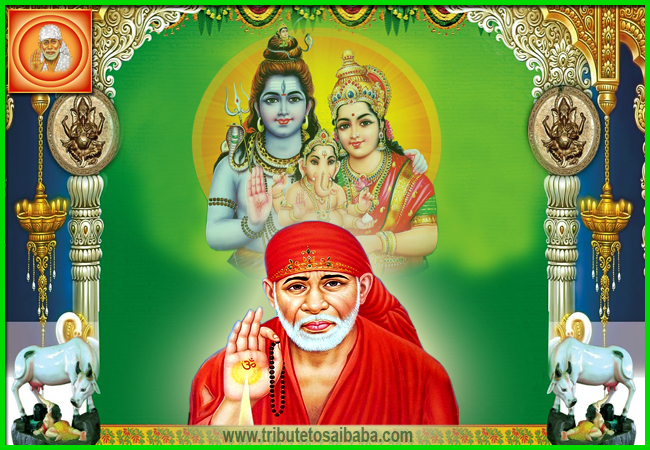 Sai Ram all. Thanks to admin for creating this platform for Sai experiences. My day start with reading one new experience. I want to share my dream here. Yesterday night I had a dream and I saw a white small Baba idol in my dream. In front of Baba there was a Pooja plate with sandal paste and udi. The scene was very divine and I felt great about it. I saw a Shivalinga too. Shivalinga was covered with udi. I saw that I started doing Pooja and applied sandal and udi on Baba’s idol and Shivalinga. I was into full satisfaction doing this. Suddenly, sky got filled with a lot of stars like someone has fired a lot of sky shots. I can’t describe the beauty of sky in words. The environment was coming out fresh to me. Unexpectedly, I saw two oxen are coming. Felt like Nandi has come there too to meet Lord Shiva. Side by side, temple getting filled with a lot of water. Like Ganga Maa came itself. Water level was like that one can wash his/her feet and go to the temple. I felt blessed to see so many Gods together in my dream. I was very fresh and free in the morning with Baba’s blessings. Baba, thank you very much for this beautiful dream. Miracle, Ever Increasing Rice !